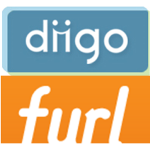 Social bookmarking and annotation service provider Diigo has acquired web page clipping and archiving service Furl from publicly listed search advertising network company LookSmart in exchange for equity. The deal is being pitched as a partnership but looks more like a smart decision from LookSmart to offload a property that had little to do with its core business and Diigo jumping on a relevant opportunity without having to spend any cash. Either way, Diigo has now bought a service that in many ways can be compared to its own product. Both offer a way for website visitors to save entire web pages or just parts as well as annotate and share with others what they consider interesting on the web. Diigo doesn’t refer to its service as social bookmarking but rather as a research and knowledge-sharing tool, but in reality it isn’t all that different from Delicious and the likes, including Furl. You might as well say Diigo bought a rival as it is readying the launch of the upcoming Diigo 4.0 platform, which is said to be taking social bookmarking and annotation ‘to new heights’. Furl, besides being one of the very first web services profiled by Mike Arrington when he started TechCrunch, was acquired by LookSmart back in September 2004. Although it was one of the first startups to focus on leveraging new technologies to add a social layer to site bookmarking, it never really quite took off the way Delicious did and according to the press release attracted only 1 million users for its service since its inception 6 years ago.